The should-have-been-a-blockbuster DREDD 3D is now out on disc in the UK. See it. Here's a reminder of the (generally reviled, although I think its not without its merits) 1995 movie version which, understandably, received plenty of print coverage at the time. 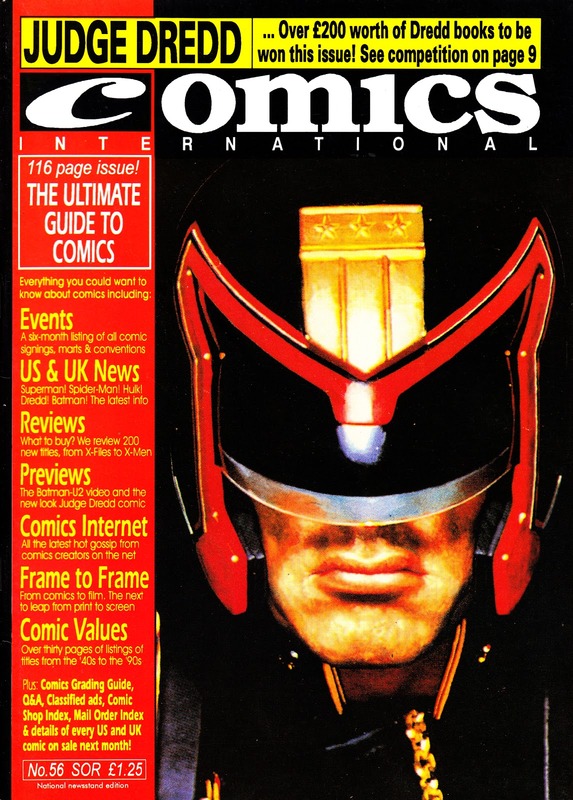 This is an (undated, although presumably around June '95) issue of the British magazine COMICS INTERNATIONAL, published by a certain Dez Skinn.